StampSelector: General Commentary: When Does a Collector Become an Investor? General Commentary: When Does a Collector Become an Investor? When does a collector become an investor? This seems a simple enough question, but answering it requires quite a bit of analysis, because one must consider the perspectives of the individual collector, the group of collectors of a particular collectible, and Society as a whole. The individual collector often begins as a child who is not concerned with the monetary value of his collection. In a sense, he is investing time, effort, and some money into collecting, in order to reap a return that comes in the form of enjoyment of his collection, knowledge, and social interaction with other collectors. In time, he may come to understand that some of his collectibles are worth more than others, and may be sold for cash or traded for others- in other words, that his collection is not merely a plaything, but an asset. As he grows older, he may engage in buying and selling of collectibles and re-invest the profits in his collection. He may compare his collection to other assets in which he has invested, attempt to evaluate its prospects as an investment, and even attempt to evaluate the prospects of individual items within it. There is a natural progression from beginning collector to more advanced collector to collector/dealer to investor. Each new level builds upon the knowledge gleaned before, because in order to be a successful dealer or investor, one must understand the nature of the market for the collectible, and how other collectors, dealers, and investors think. 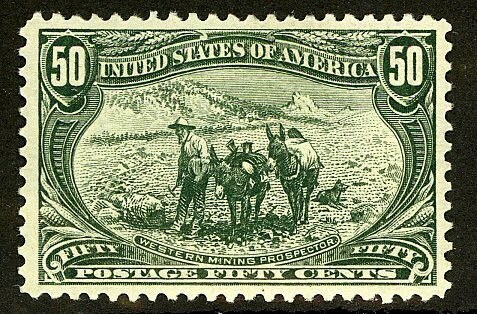 A similar evolutionary process occurs in the development of a group that is interested in a particular collectible, such as stamps. 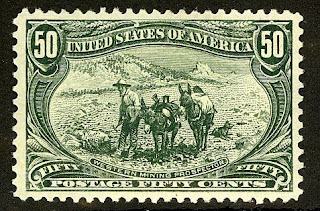 The first stamp collectors of the 1840s and '50s were not concerned with monetary value, but simply collected for the sheer enjoyment of it. Many mounted their stamps by pinning them to boards, and there were even instances of early stamp collectors using sheets of stamps as decorative wallpaper. The first stamp dealers, catalogs, and albums did not appear for decades. In the earliest years of the hobby, when "timbromania" ("stamp madness") swept through Europe, there was no distinction made between stamps which were common and those that were rare, and the very idea that these essentially worthless bits of paper might have value would have seemed laughable to most collectors of the era. In time, the first dealers set up shops to cater to collectors, specialists and scholars wrote books and monographs on various countries' stamps, wealthy collectors focused upon the rarer items, stamp clubs and societies were established, and a more sophisticated, diverse market began to develop, and continues to do so. 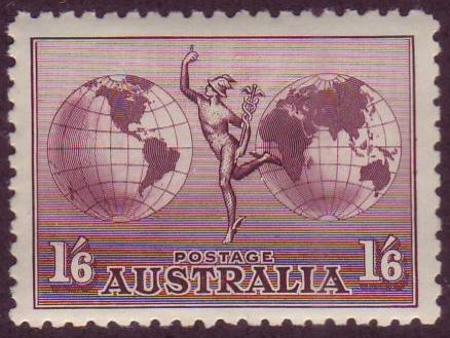 Within philately, there is a tendency for collecting areas to attain greater specificity and refinement as their markets develop. For decades, German collectors were considered the most "advanced" within the philatelic community, and as with other advanced markets, collecting of Germany and Area (its colonies, offices, occupation stamps, etc.) includes the collecting of varieties, cancels, covers, and many other niches, as well as a sophisticated awareness of condition grading, and detection of fakes and forgeries. As a philatelic market develops for stamps of a particular country, the collecting of the better items from that country is no longer the simple "fun" that a child might have in accumulating pretty little pieces of paper. The "fun" becomes more complex - the stamp is not merely an object of beauty or even of historical, cultural, or geographical interest; its presence in the album brings the collection closer to completion, and it is has value because collectors value it. To some extent, the buying and selling stamps may be considered a hobby or obsession as much as a business, because the intensity of absorption and level of knowledge and understanding required to do it successfully blurs such distinctions. At the most advanced levels, the stamp investor comes to realize that he is not merely investing money, but a part of himself. The hobby takes on aspects of a community, a world unto itself. When considering society as a whole, the question of why people collect at all comes into play. A collection is, in a sense, a microcosm, a window through which one may domesticate and view the world as a whole. There is an emphasis on detail - on specificity of description and organization - which relates and connects any object or collection of objects to the greater world outside of the seemingly myopic and obscure pursuit of apparently unimportant trivia. Each object in the collection has a history - it presents story which relates to the reasons behind and means of its creation, and its relationship to other objects in the collection. As a hobby, collecting is really a pursuit of knowledge in objectified form, and it requires an openness to complexity and detail - a pluralistic philosophical perspective which views the world as diverse and multi-dimensional, rather than simple and homogenous. Until the beginning of the Industrial Age about 200 years ago, only the wealthiest members of society had the means and leisure time to pursue any form of intellectual enrichment, including collecting. Until then, there was no "middle class" of any consequence, nor did most people survive until middle age. Most people were illiterate or semi-literate, spent most of their time working and providing for the survival of their families, and lived in hovels. The "Renaissance Man" or "man of the world" was usually an aristocrat or successful merchant who might form a collection of art or other objects with which he could impress his wealthy friends. The development of a sizable middle class, the increase in life expectancy and availability of education, and more recently, globalization, cosmopolitanism, the increased interest in multiculturalism, and the greatly enhanced access to information and markets via the Internet have all contributed to a growing "collectible-awareness" in the world as a whole. The implications of the old adage "today's trash is tomorrow's treasure" have been borne out in recent times, blazed across the airways in the form of television coverage of celebrity collectibles auctions, TV series focused on antiques, treasure and relic hunters, and flashed over computer screens of Ebay bidders engaging in buying and selling on a 24/7 basis in a never-ending series of often viciously competitive auctions. There has been an explosion of collectible categories as well, as these have expanded to include objects never previously considered to be collectibles: lunch boxes, expired credit cards, phone cards, lottery tickets, greeting cards, advertising , entertainment, and political memorabilia, action figures, game cards, found objects, and so on. Those individuals most involved with this seemingly surreal world, who have a heightened "collectible-awareness," now consider almost any object in light of its potential future value as a collectible. In effect, high culture is no longer monopolized by the wealthy, nor is "popular culture" considered vulgar or plebeian. There has been an intermixing and commodification of the two realms, and the artifacts of culture are now assigned monetary value by the invisible hand of the market. The effects of this new orientation go far beyond a transformation in perspective of those who consider themselves collectors. As most humans now belong to a competitive, predominantly capitalist global society, even those who do not actively participate in the collectibles market are influenced, and persuaded to take account of the value of these commodities when opportunities arise. Objects which were once collected purely for pleasure -out of a sense of wonder, or based on feelings of nostalgia- are now viewed as valuable and important representations of the world's culture. Even those who are not inclined to collect anything may be drawn into the web for purely economic reasons. We are all becoming Renaissance Men and Women: worldly, pragmatic, and open to appreciating the value of things once deemed trivial, exotic or obscure. And at the very top of this new Tower of Babel that is the collectibles market resides a priesthood of oracles and astrologers, predicting and profiting from the vagaries of economic and demographic trends affecting the future values of these objects which the world has come to treasure.